And most intriguingly, it has some HoloLens DNA. 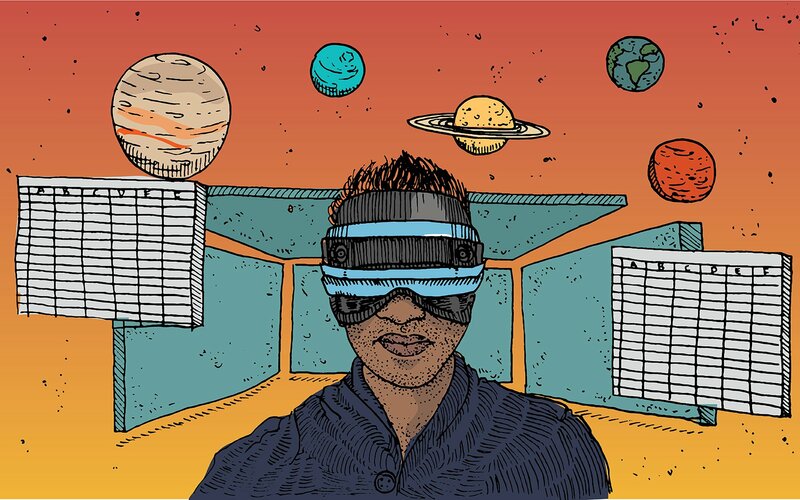 For Microsoft, the future of computing is not only virtual reality but also "mixed reality," the company's term encapsulating AR and VR experiences. That started with HoloLens, but that device costs $3,000 and is targeted at developers. Microsoft has something else in mind for consumers: $300 VR headsets from PC makers like Dell and HP. Until now, the closest we've come to Microsoft's mixed reality vision was by touching (but not using) a Lenovo headset. That all changed last week, when I put on Acer's Windows 10 headset. At first glance, the unnamed headset doesn't look like anything special. But look a bit closer and you'll notice a few intriguing elements, including two cameras on the front and a sharp, almost race car-like design. 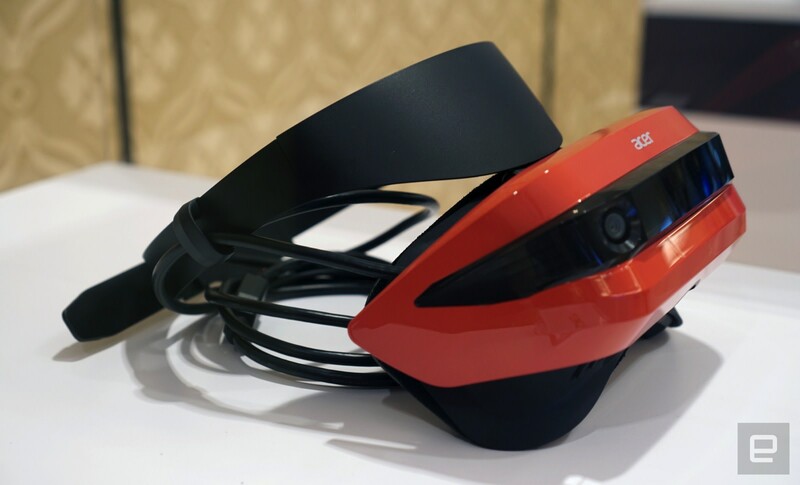 The visor portion of the headset can also flip up, so you can easily see what's happening in the real world without taking it off entirely (something Lenovo's entry also does). Unfortunately, I wasn't allowed to take any photos, but it looks exactly like the model we saw back at CES (albeit in bright blue instead of red). I had no trouble putting on the headset while wearing glasses, though it was a bit tough to adjust the head strap without actually seeing it. Like the Vive and many other VR headsets I've tried, Acer's entry is fairly front heavy, so it might take some adjustment to make it feel comfortable. Once I found a decent fit, it felt like something I could easily wear for an hour or more. Those two cameras on the front are the most intriguing part of Acer's headset, as they allow it to track your environment and head position without the need for external sensors like the Oculus Rift and HTC Vive. This technique, known as inside-out tracking, is an offshoot of what Microsoft developed for HoloLens. The goal: to make VR setup easier for consumers, removing the need to drill holes into your walls for the Vive's lighthouses or find desk space for the Rift's standing sensor. That solves one of the biggest problems Microsoft noticed with the Rift and Vive units at its stores: Lots of buyers would return VR hardware because it was too tough to set up. Once I put on the headset, I was thrust into a virtual living room somewhere in the Pacific Northwest. Unfortunately, I was stuck with using an Xbox One controller to navigate the environment -- a huge step down from the Rift's and Vive's motion controllers. I was able to teleport and walk around the room as well as pick up and view virtual objects. While the environment wasn't particularly detailed, it looked sharp on Acer's headset. And most importantly, I didn't get dizzy, even as I was moving my head around to take in the virtual space. Like HoloLens, this new crop of mixed reality headsets will let you access just about every app and tool you'd otherwise use in Windows 10. That includes universal apps as well as those made for HoloLens. So you could conceivably throw a video onto a wall in your virtual living room while you're browsing the web or working on an Office doc. I didn't have much time to run software on the headset, but I was able to move around a model of the solar system with the controller and by tilting my head. When I pushed in on Jupiter and other planets for a closeup view, they all looked sharp and clear. It was evident from the demo that Microsoft isn't targeting high-end VR with $300 headsets like Acer's. Instead, it's aiming for a middle ground between mobile VR and what we're seeing from the Rift and Vive. The company bets that relatively inexpensive headsets powered by midrange machines will make up the majority of the PC VR market. The Acer unit I tested was powered by a gaming laptop, but the company claims computers with integrated graphics will also be able to run mixed reality headsets later this year. That's partially due to low-end graphics getting better over time, but Microsoft claims it can also handle VR more efficiently since its mixed reality platform is built directly into the OS. It's not relying on a separate app like the competition. Microsoft has also partnered with 3Glasses for a much more powerful headset that beats out Oculus and HTC's offerings when it comes to specs, so it's not ignoring the high end entirely. Microsoft has made it clear that VR will be a big part of its Xbox One successor, Project Scorpio. While the company hasn't made any official announcements regarding these low-end headsets and Scorpio, it's something I expect we'll hear more about at E3 in June. Given that the company's next console is powerful enough to handle true 4K gaming and it's technically powered by Windows 10, it's easy to see how it could integrate with these headsets. As for that Windows-powered HTC Vive we saw back at Computex, Microsoft says that device was just a mockup. The company doesn't currently have any deals with HTC, but it's open to working something out. That's partly because Microsoft is eager to reduce the fragmentation of the VR market with Windows Mixed Reality. That's self-serving, of course, but Microsoft has a point: Virtual reality has to be easier for consumers to jump into if we actually want it to succeed. 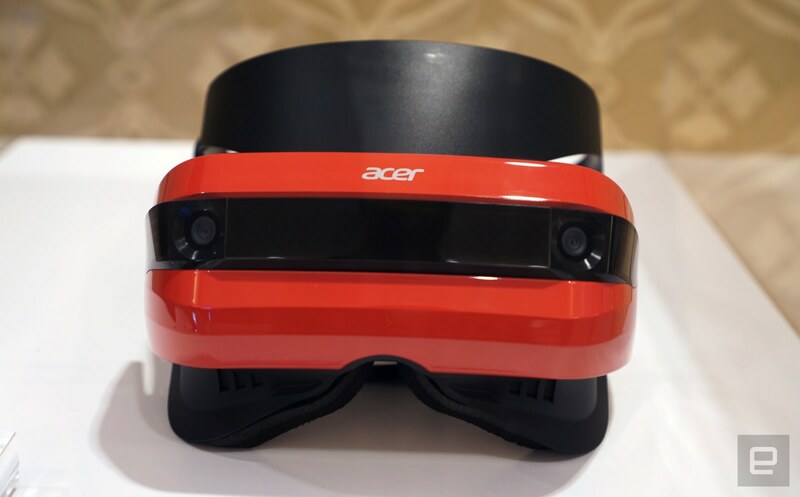 This Acer headset, along with the first batch of offerings from PC manufacturers, will mainly be targeted at developers with the Windows Creators Update. But Microsoft is confident it will have something consumer grade to show by the holiday season. It's taken a few years, but it won't be long until we see if Microsoft's bet on mixed reality actually pays off.